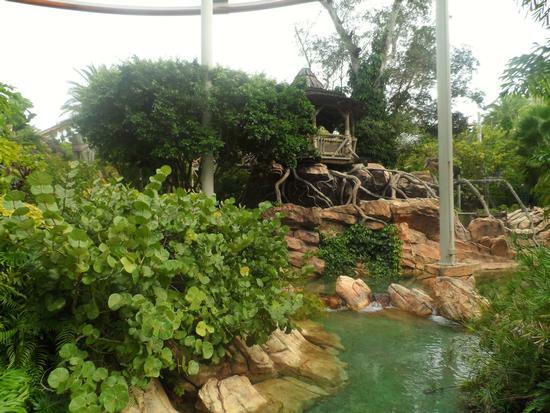 Camp Jurassic is a playground in Jurassic Park at Universal's Islands of Adventure. While it's not the best, it is also recommended. A large, prehistoric-themed play area where visitors can climb towers, scamper across rope bridges, and explore caves and an amber mine. There's a water cannon area where you can give and get a good soaking, too. If you have kids, this is a great place to take them. There is so much to explore in this area. I got really tired chasing them around trying to follow them, that I decided just to sit towards the entrance and wait for them to wear out.